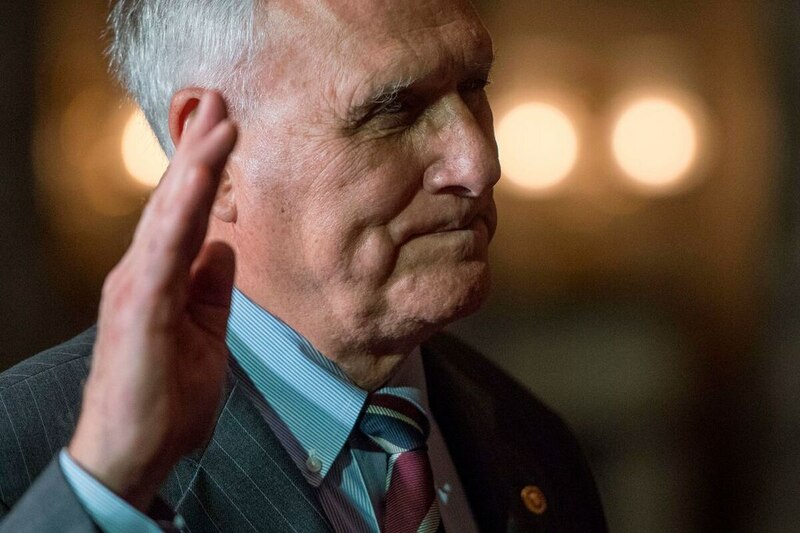 WASHINGTON — Jon Kyl, the former senator sworn in to fill the late John McCain’s Senate seat, will also join the Senate Armed Services Committee, Senate sources confirmed Thursday. As the Senate’s Republican whip, Kyl, 76, was a longtime Pentagon and defense-sector ally, then known as the Senate’s biggest advocate for missile defense spending and its strongest opponent to nuclear weapons reduction. More broadly, Kyl — who retired in 2013 — represents a more conservative perspective than McCain, known as a maverick who sometimes voted against his party. On national defense, Kyl and McCain were “inseperable,” said Sen. Lindsey Graham, a SASC member and McCain ally. “You should expect from him what you got from him in the years he was here: Solid conservative point of view toward national security,” said Graham, R-S.C.
Kyl’s voice and experience, Graham said, would be helpful in finding compromise on border security and avoiding a government shutdown. President Donald Trump said Wednesday he would be willing to shut down the government if Congress does not provide enough funding for a border wall—panicking Congressional Republican leaders ahead of midterm elections. “He’s from Arizona, so border security is very important to him, but he’s a very practical guy,” Graham said of Kyl. The committee in 2017 named Kyl, who had been working as a lobbyist at the law firm Covington & Burling, to Congress’s Commission on the National Defense Strategy for the United States, alongside two former four-stars, three Obama-era Pentagon officials. McCain died on Aug. 25 after being diagnosed with brain cancer last year. He was buried Sunday after tributes in Arizona and Washington. Kyl was appointed on Tuesday by Arizona Gov. Doug Ducey to temporarily fill McCain’s seat. Kyl has said he would not run in a special election in 2020 to finish McCain’s term, which ends in 2023.